← Rigel Bomber Jacket January is here! 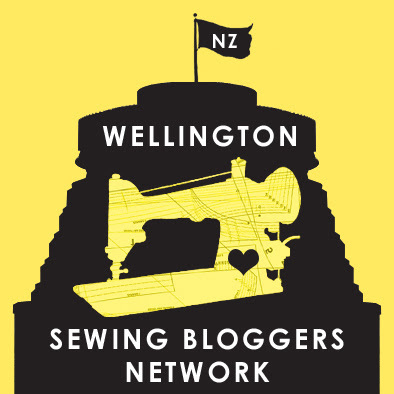 Ages ago (like, a good year ago now I think) the WSBN (Wellington Sewing Bloggers Network) discovered there was an exhibition of Dr Who things on. 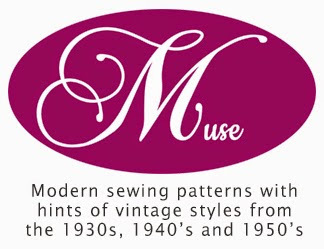 Naturally, the decision was made to make Dr Who inspired things, get together, and go check it out. 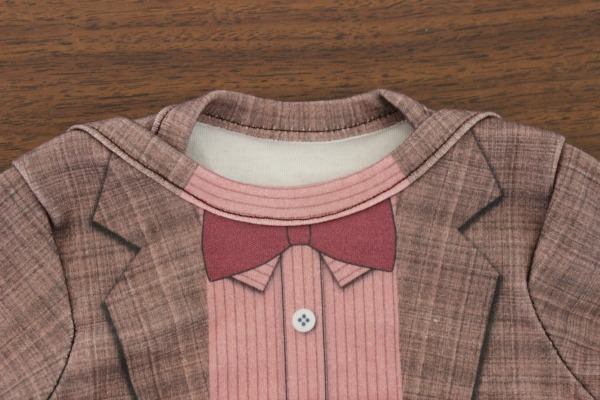 Lots of browsing of Spoonflower resulted, and this 11th Doctor baby onesie jumped out at me. Seriously, how cute is this?!? 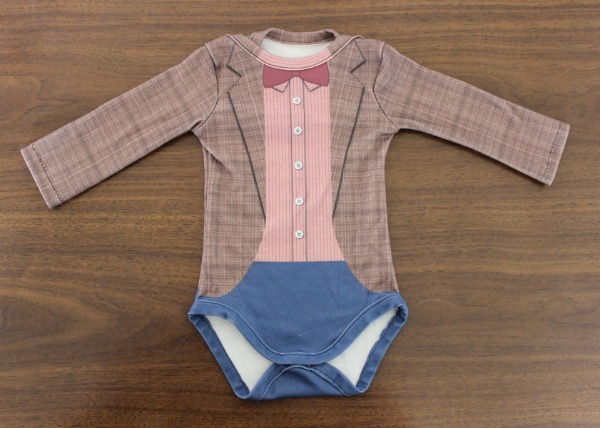 One of my good friends was pregnant, and a huge Dr Who fan, so I bought it, intending to make it for her baby. There’s an URL printed on the fabric for finding the instructions. Sadly, this URL doesn’t work at all. Luckily, I didn’t need it, so that was ok. The onesie itself was pretty easy to stitch up. I used a combination of overlocker and sewing maching – stitched the cuffs up using a zig zag stitch (as I was pretty sure my coverstitch and my twin needle wouldn’t like doing such small areas, based on past experiences), put the neck bindings and bindings around the bottom on with a straight stitch (since they don’t need to stretch at all, and in fact the bottom binding is cut so it doesn’t stretch at all), and stitched the pieces together with my overlocker. 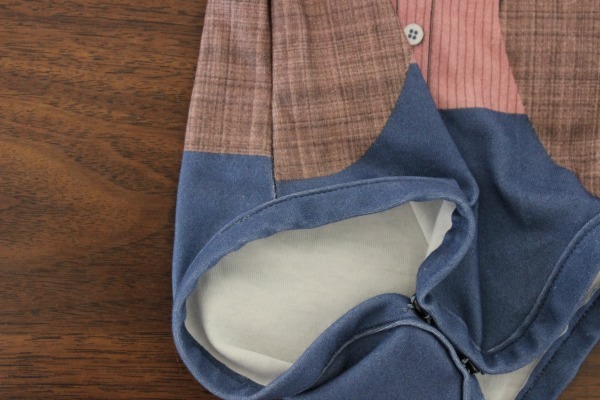 I went for hand-sewn on snap fasteners on the crotch (such an odd word to write, haha!) instead of hammer-on ones, as I wasn’t sure how stable the hammer-on ones would be through so many layers of fabric. Unfortunately though, it doesn’t fit! There was no way that garment was getting on our little guy. (To be fair, I had it in my mind that it was a 0-3 months size, and it turns out it’s newborn sized. And our guy was right at the edge of fitting newborn sizes the moment he arrived, so it didn’t have much of a shot of fitting him. Oops. One thing to keep in mind with this though – it’s printed on Spoonflowers organic cotton jersey. Which feels lovely – soft and thick. 🙂 But, it doesn’t have much stretch. Which means, that onesie isn’t going to have much stretch. And yeah, close fitting baby clothes without much stretch…. Gah. All up – very cute design, easy to make (as long as you don’t need instructions! 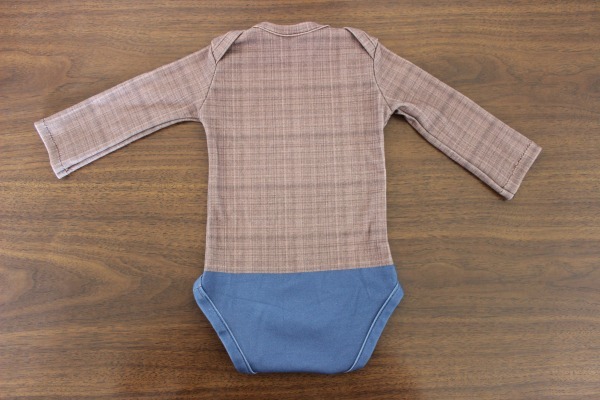 Although it shouldn’t be hard to find other onesie instructions on the ‘net), but unless your baby is on the smaller side, they won’t be fitting into this for long. 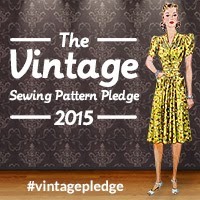 This entry was posted in Things I've made and tagged Baby onesie. Bookmark the permalink.